As part of our range of anti-suffocation products, we have now designed a breathable topper that can be placed on your existing mattress. Our mattress topper is designed so that the whole area of the mattress topper is breathable, not just certain areas. This ensures that at all times regardless of your sleeping style, you are always in a safe and secure position. Using innovative highly breathable memory fibre, we are able to produce an aid which is comfortable, practical and most importantly can play an important part in the prevention of SUDEP. We have manufactured a cover made from spacer fabric which helps to increase air flow, whilst providing support for the body. The cover is fully removable, and is machine washable. 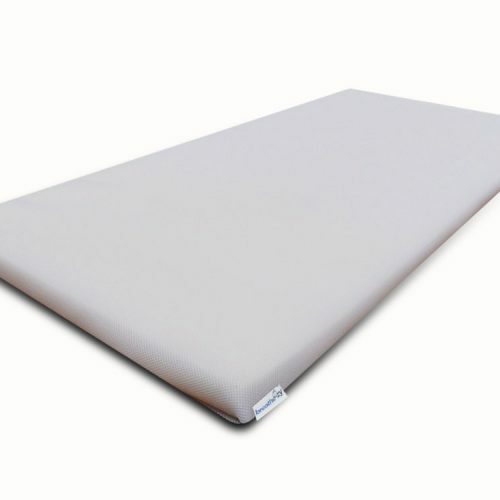 The Breathe-zy Anti-Suffocation Mattress Topper comes in a thickness of 5cm (2″). This product is an aid to epilepsy and not a cure and is in no way intended to replace medical care or attention by a qualified practitioner. We strongly advise all users with health problems to consult a doctor.